Stressed over how to create a cohesive theme for your special day without adding even more to your already full plate? Let us introduce our new wedding package designed to create an elegant look throughout your wedding, from ceremony to reception. Continue the theme with a welcome sign that is uniquely you (see previous post for amazing welcome sign ideas). Add small details that pop with table numbers, Mr. and Mrs. signs’, or any other custom sign we are happy to design for you. After the ceremony, make it easy for guests to find where to drop their cards for the new couple, find what to eat, and where the activities are. 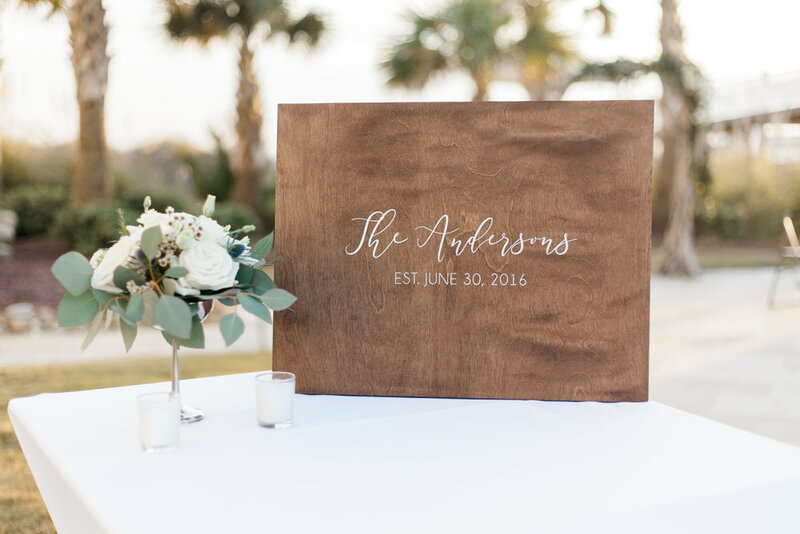 All of the signs are customizable to your specific wording, three stain color choices, and packages can fit any wedding size. Email us and we will help you design the perfect package for your wedding.